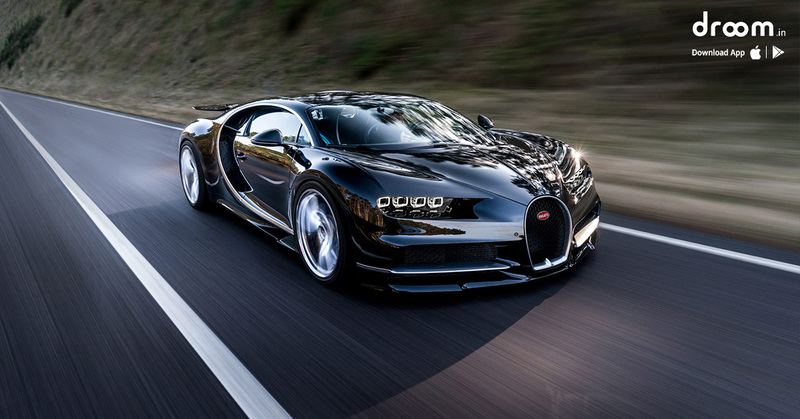 The Bugatti Chiron is a two door sports car, much like its predecessor, the Veyron. It was created by the Bugatti Automotive Group, which is owned by the Volkswagen Group and revealed first at the Geneva Motor Show on March 1, 2016. The car is named after the Monegasque driver, Louis Chiron. After Bugatti’s international reputation for staggering performance at events like Le Mans, the Chiron had a huge legacy to uphold. After all, Bugatti won the Le Mans 24-hour race in 1937 and 1939. Before the race, during a parade lap, the Chiron reached a top speed of 236 m/h, well below its top speed of 266 m/h, yet comfortably faster than any car set to race at the event. Although it is a comparison of apples to oranges, it definitely does leave an impression. Customer deliveries of the $2.7 million Chiron don’t begin until this fall, but all indications suggest that it is another masterpiece from Bugatti. The company already has orders for over 200 vehicles out of the total of 500 being produced. Some interesting things to note about the Chiron and the Veyron are that, at constant top speed (roughly 400 km/h), the Veyron would drain its 100 litre fuel tank in 12 minutes, while the Chiron does it in 9. The Chiron can accelerate to 100 km/hr in 2.5 seconds and to 280 km/hr in 13.6 seconds. Take a moment to let that one sink in. “Exactly how the Chiron behaves and what it’s capable of is up to you. Five different driving modes are available, and we’re not talking your average Sport and Comfort settings. Not in Bugatti land. There’s ‘Lift’, ‘Auto’, ‘Autobahn’, ‘Handling’ and ‘Top Speed’ to choose from, each an individual blend of settings for the chassis height, dampers, steering weight, torque distribution from the four-wheel drive system, active aero and the electronic stability system. ‘Auto’ is your default setting, shifting responsibility to the Chiron’s enormous brain to decide on the best parameters. ‘Lift’ is designed for speed-bumps or loading onto a trailer and only available below 50 km/h. Push it beyond 112 m/h and ‘Autobahn’ mode activates automatically, softening up the dampers for more comfortable and stable high-speed cruising. Feeling brave? ‘Handling’ mode turns everything up to eleven and is primarily designed for track work. All the above are accessed via a rotary control on the steering wheel, and come with a top speed limited to a mere 236 m/h. I doubt you have seen 2015’s road death estimates!